e are definitely back!!! 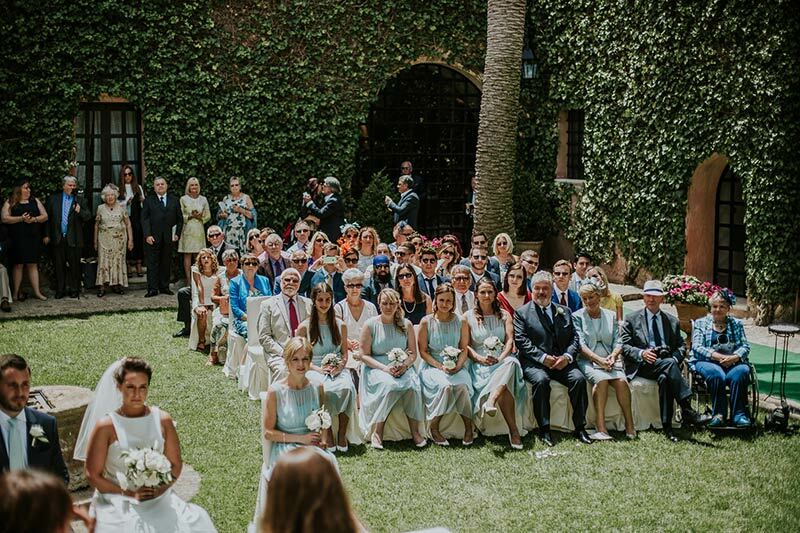 Wedding season is really started now and we are happy and proud to tell you once again about our wonderful just married couple who tied the knot in May 2016! 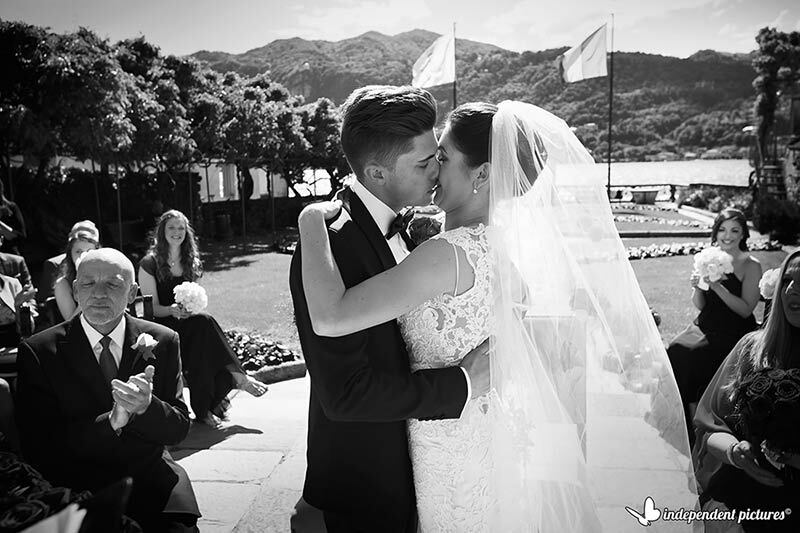 We start with Sophia and Simon’s wedding on May 11th. Our planner Katiuscia followed the event. They got married with a civil ceremony in Torri del Benaco on Lake Garda and they planned a lovely reception to follow in a fine restaurant in the village. 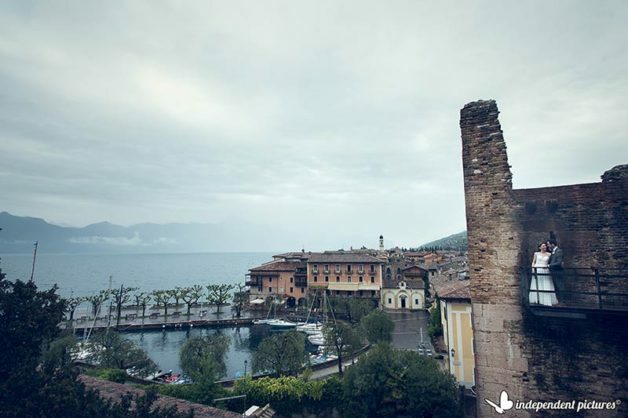 Just by the shores of amazing and vaste Lake Garda. On May 14th our planners Stefania and Carolina followed a wonderful event in Rome! 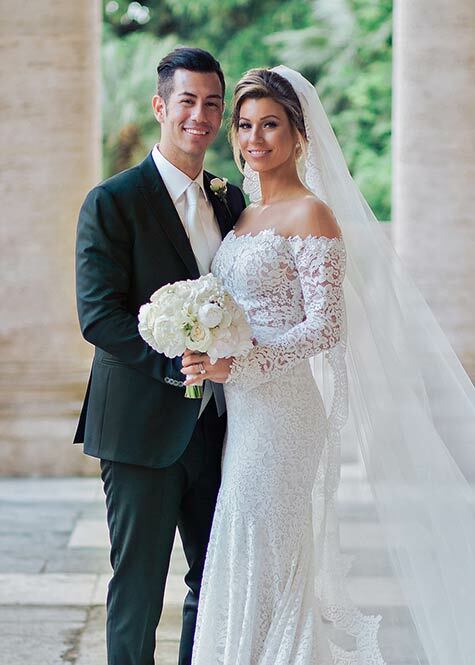 Luca and Anna Victoria tied the knot in one of the loveliest church in the beating heart of Rome: Santa Maria in Aracoeli. 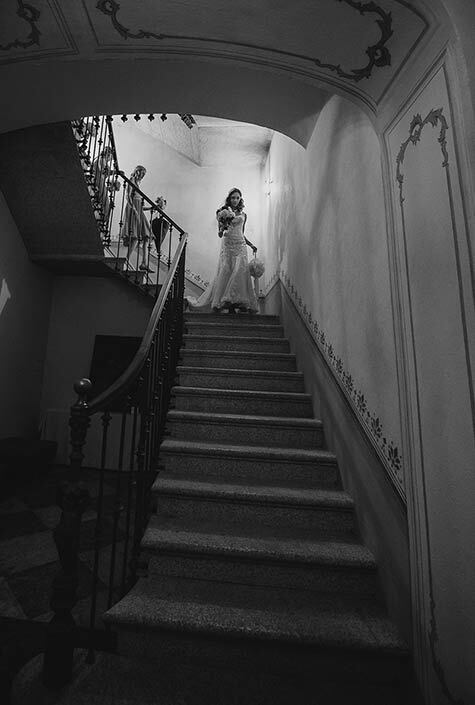 For their reception the chose one of the most beautiful venue in Rome, an enchanting villa overlooking unforgettable Rome skyline. Rome at sunset is just a dream! 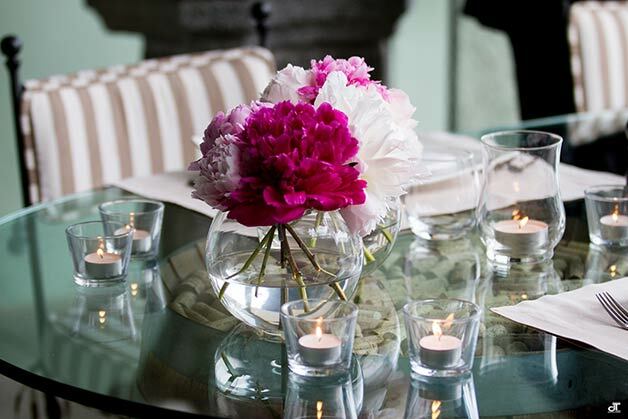 Anna Victoria wanted a light pink palette with romantic floral compositions on Florentine vases. 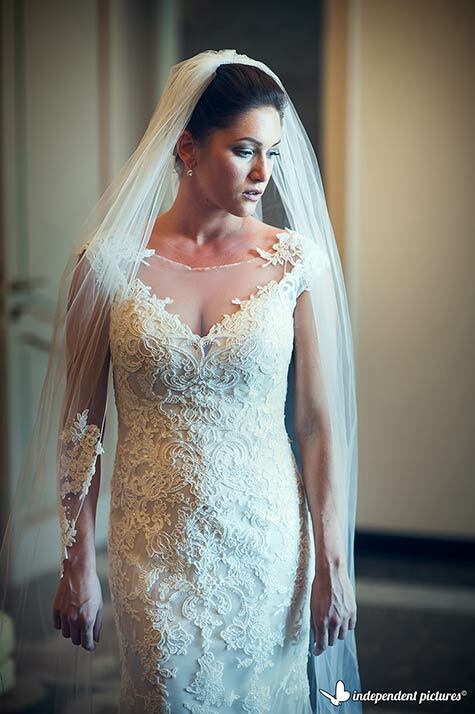 We cannot forget to mention that our bride is a fitness guru Anna Victoria what a wonderful bride!! 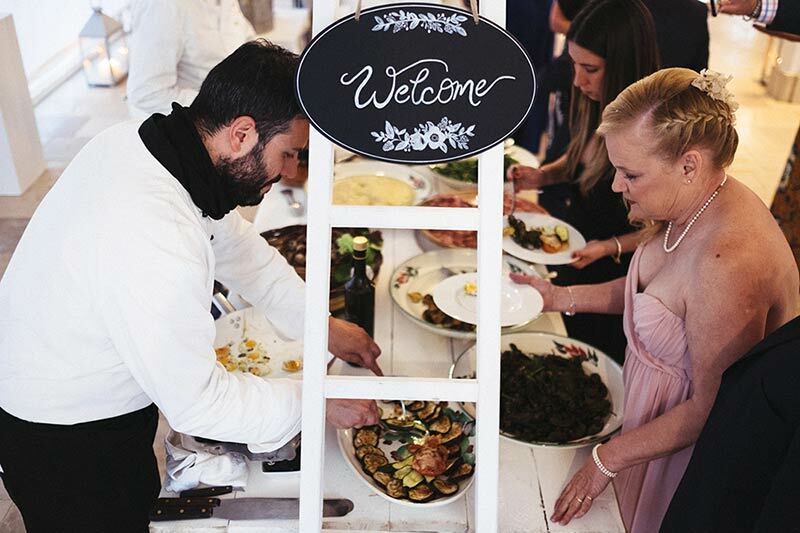 We move Southern to Apulia for Martha and Mark’s wedding on May 17th our planners Michela and Michela followed for us. They are two lovely guys coming from US. 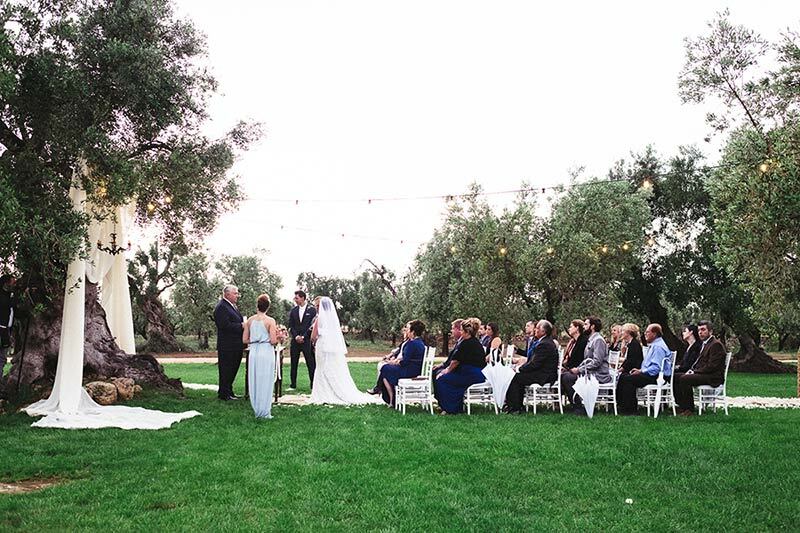 They planned a lovely blessing among olive groves with dinner to follow in an enchanting Apulian Masseria. 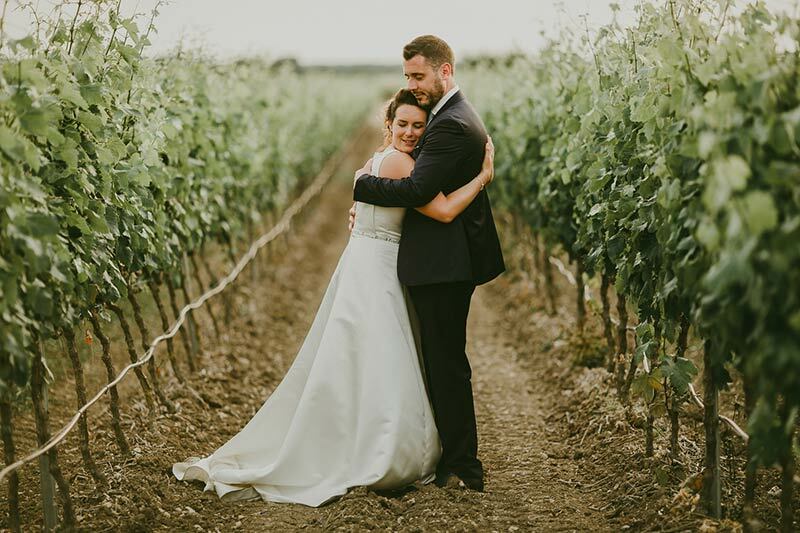 They planned all remotely with us, they never have been in Italy and Apulia region before… they really wanted to keep this wonderful corner of Italian country as a surprise for them and for their guests. A wonderful imperial table for all 30 guests by the pool and flying lanterns in the sky at night to celebrate the newlyweds. Then back to Northern Italy for a romantic elope on Lake Orta on may 18th. Valentina followed the event for us. 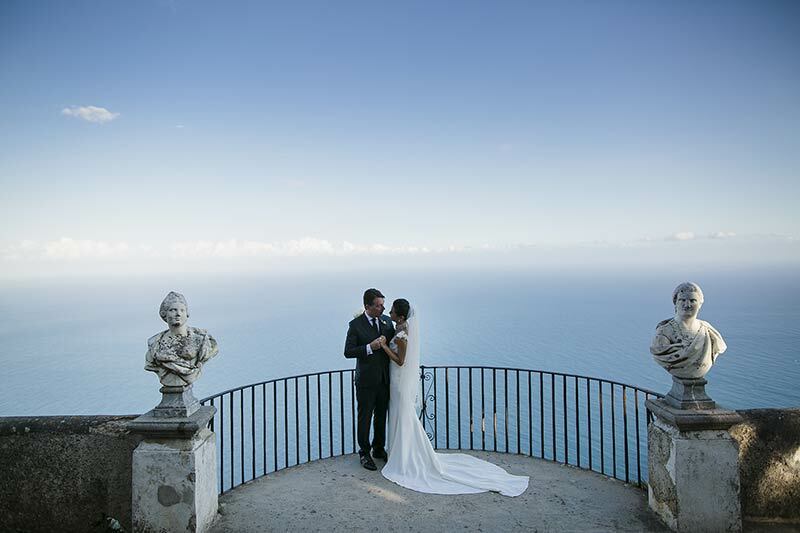 Graeme and Elaine decided for a very intimate civil ceremony at Villa Bossi. 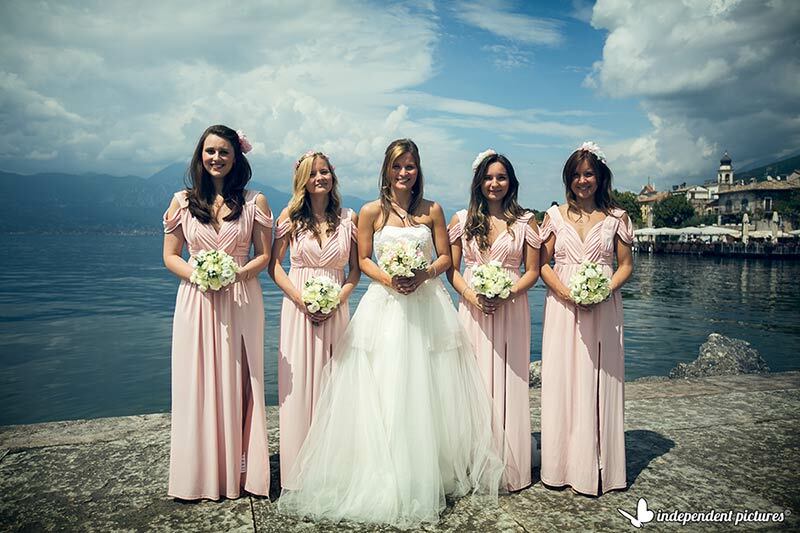 Sweet bride arrived by boat from the lake as tradition wants. Ceremony was just for the two of them and to celebrate ins style they had a lovely boat tour on the lake with toast on board and romantic shots on St. Julius Island. A special dinner for two was planned at Hotel San Rocco for the evening. Elaine wanted ivory peonies for her bouquet and for her hairdo. These two guys were simply amazing, so sweet and so in love! We stay on Lake Orta for a wedding followed by La Piccola Selva Floral Designer and Enrico Mocci photographer for our team just like for Rachel and Simon at Villa Crespi last month. 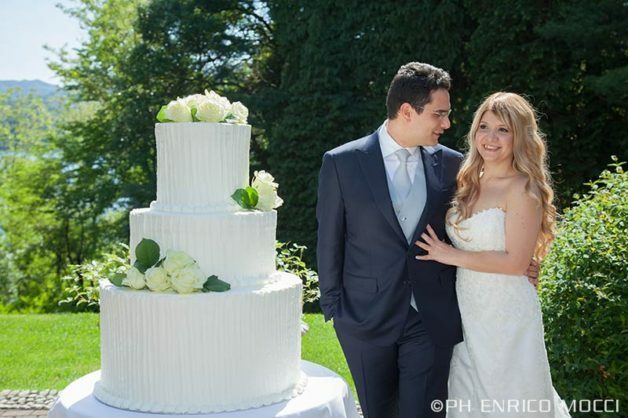 Elisa and Pietro got married on 21st May on a beautiful sunny day. 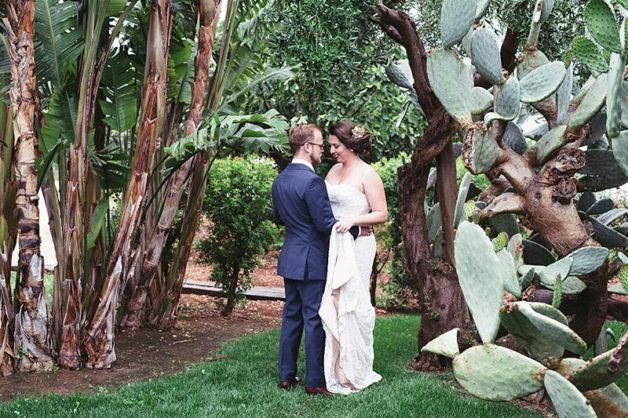 Elisa wanted a very special bridal bouquet for her wedding made of lilies on the valley only! 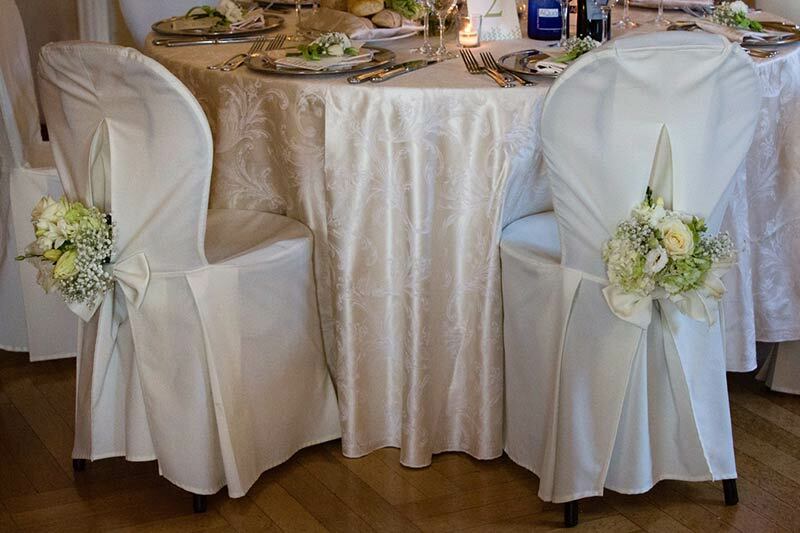 It could be perfect for a May wedding, white, delicate, scented. Lily of the Valley represent pureness. What a great choice! 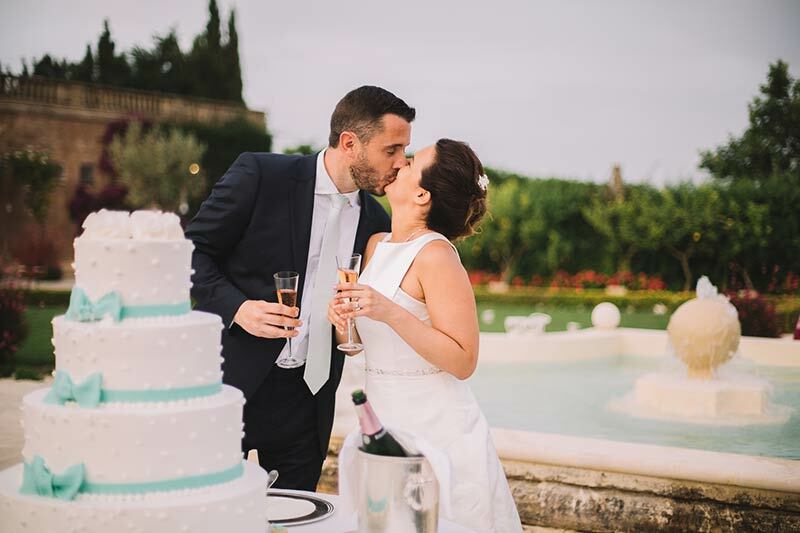 After the ceremony at Villa Bossi, Elisa and Pietro celebrated their special day at amazing Villa Crespi where famous Chef Antonino Cannavacciulo prepared for them a very special haute cuisine menu and a grand final with a delicious three tiers wedding cake! 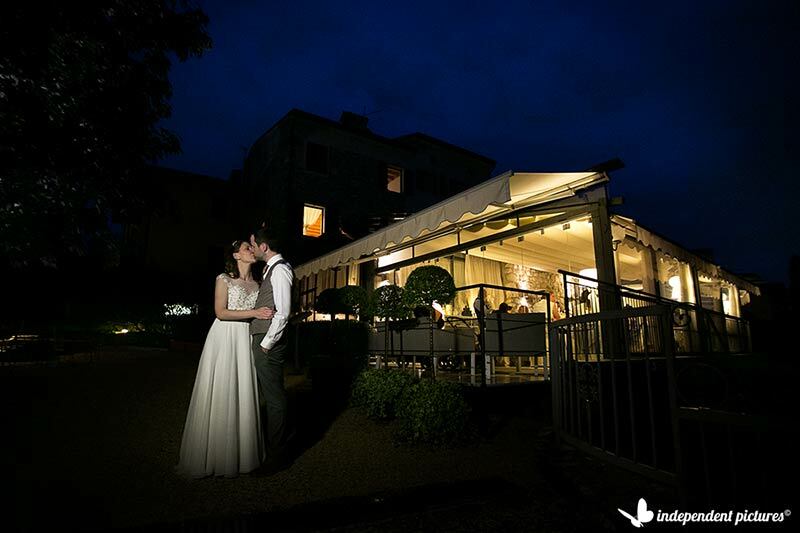 We keep on staying at Lake Orta for Rosie and Sam’s wedding on May 23rd! Our planner Valentina followed the event for us. Rosie and Sam are two wonderful guys coming from UK. 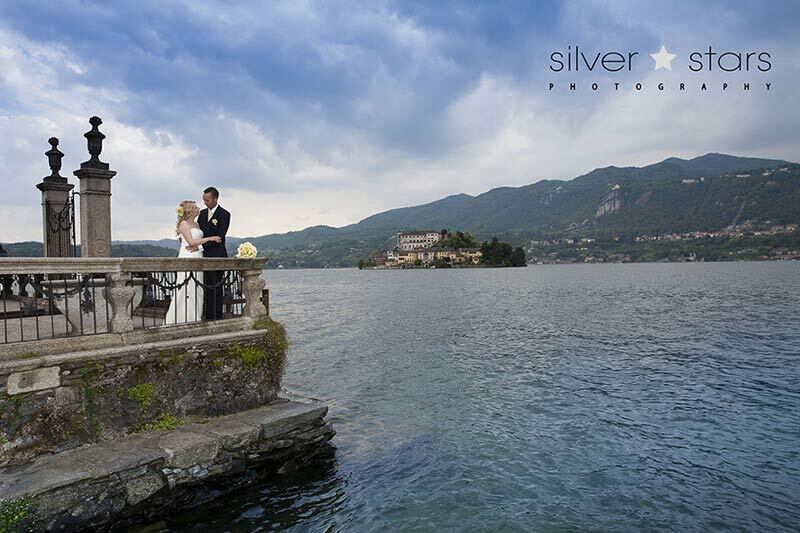 They got married on a windy day on Lake Orta, sky was incredibly clear and day was simply amazing. They planned a civil ceremony at Villa Bossi and sweet reception to follow at Ustaria Ca dal Rat. 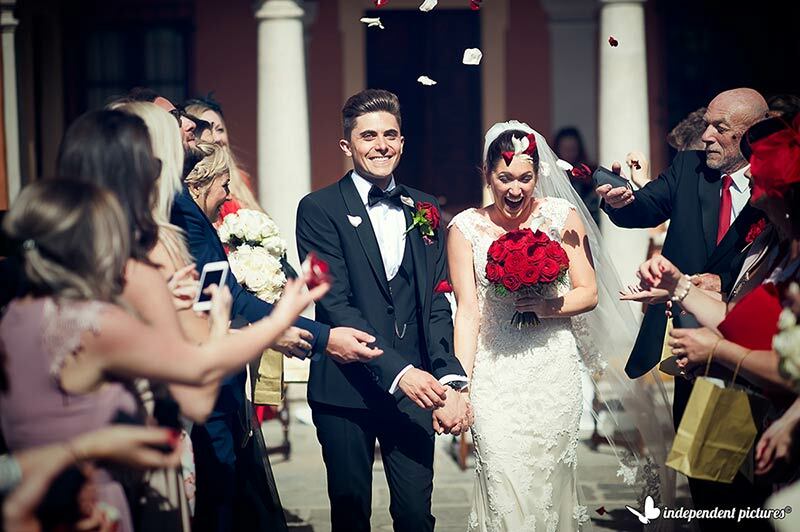 A wonderful stylish event, groom wore a black suit with bow time and bride a fabulous laces dress. Flowers were all red with little touch of black. Rosie has style! 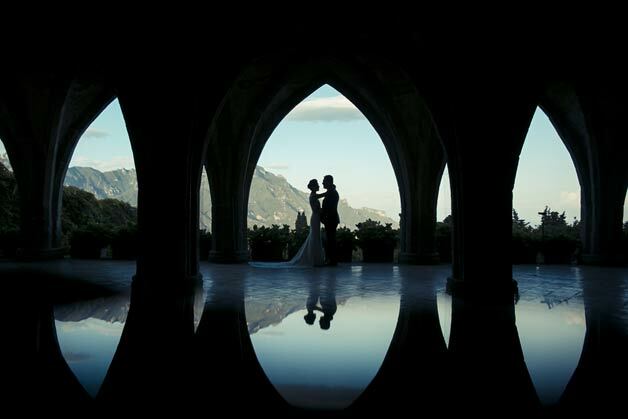 The day after was the time for Philippe and Klarisse’s wedding. 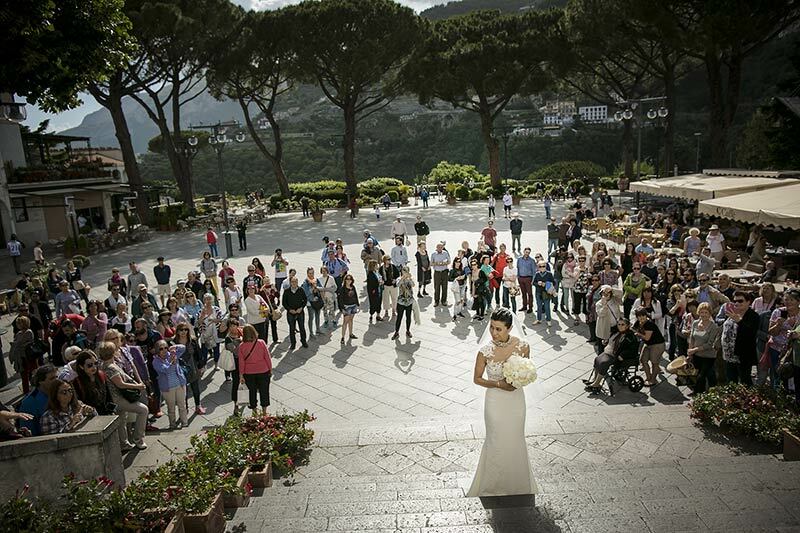 Date of the wedding was 24th May but our planners Stefania and Carolina planned for them more than that. 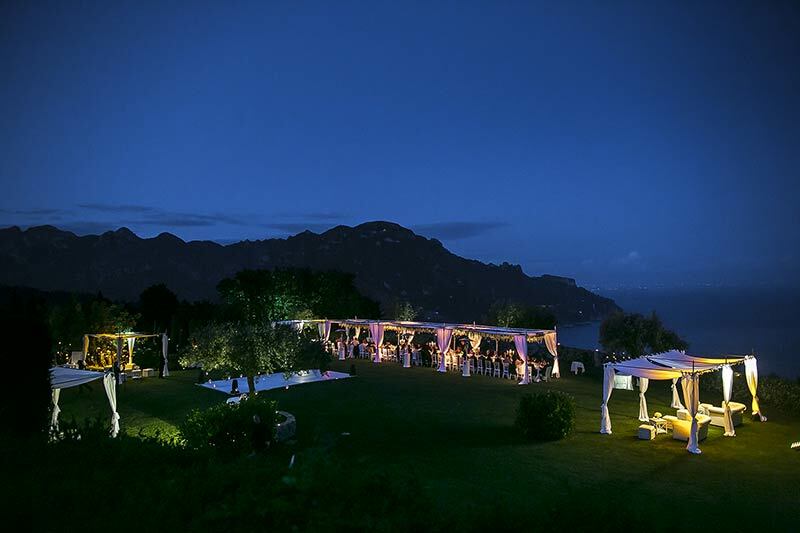 A 4 days of events each with a special theme on Amalfi Coast. 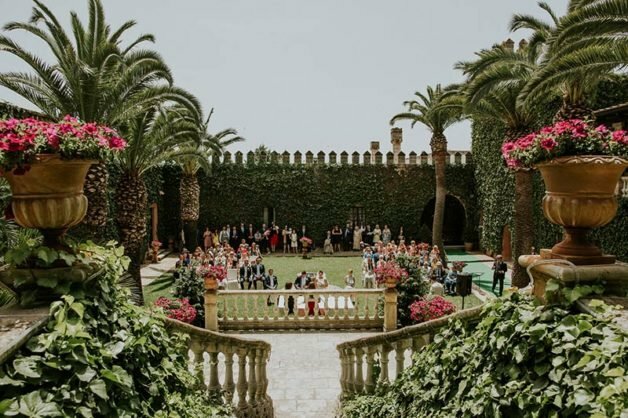 A luxury and fabulous dream coming true! Ceremony was held at Duomo di Ravello and reception to follow in one of the most beautiful villa on Amalfi Coast: Villa Cimbrone. This is the top of top! 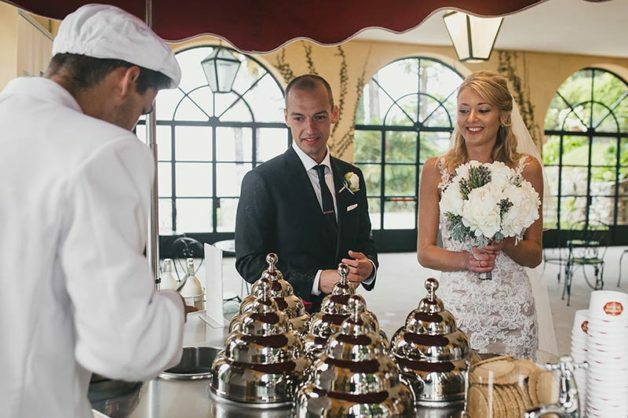 Wedding reception was planned overlooking the sea at an imperial table with a cascade of white flowers and peonies on it. We will surely tell you more about this fantastic event! Well we could not miss Lake Como this time! 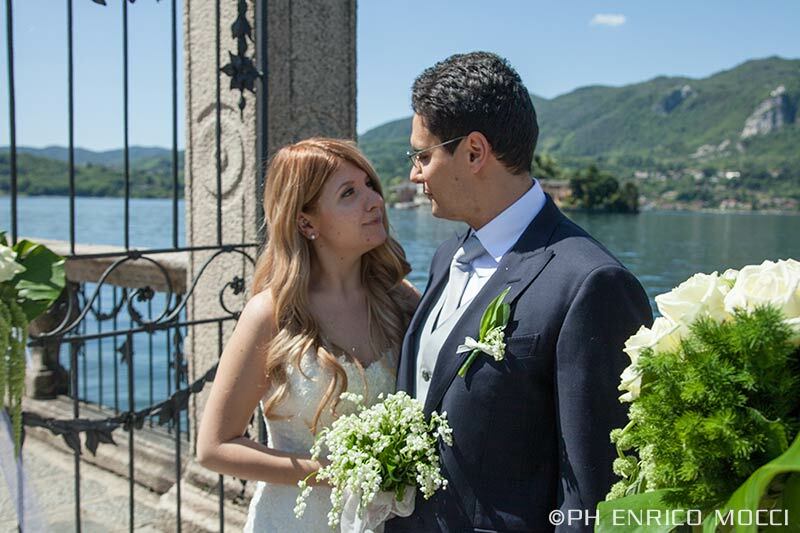 On May 25th Kari and Hahnemann renewed their vows on fabulous Lake Como. Alessandra and Veronica followed the event for us. 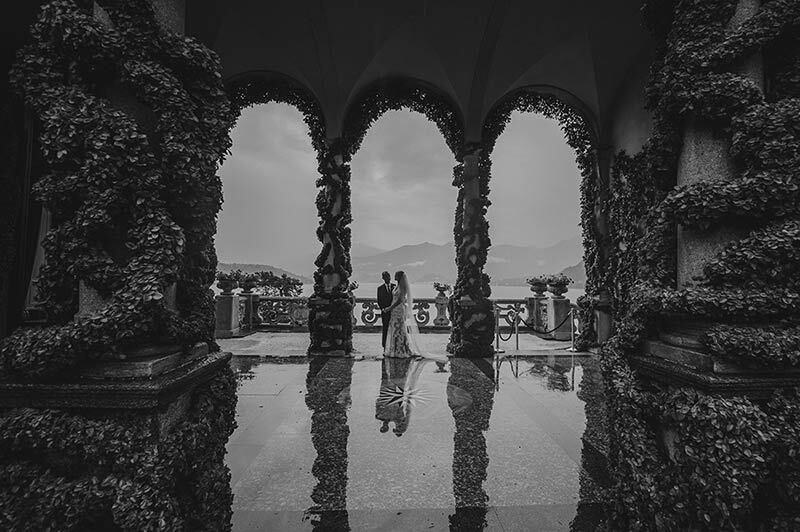 They renewed their wedding vows inside lovely church overlooking the Lake in Tremezzo with some great pictures to follow at Villa Melzi in Bellagio. 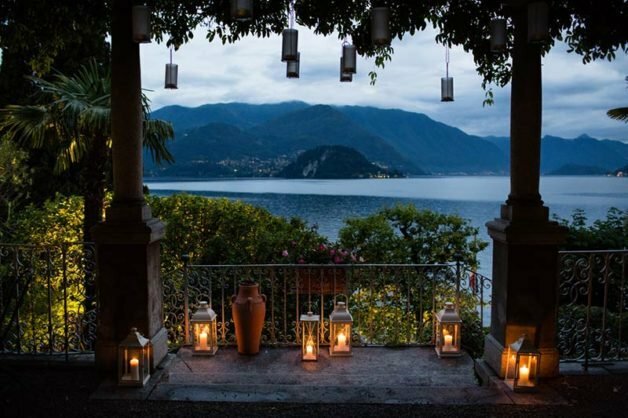 A boat tour on Lake Como is a must to reach celebratory meal venue, a luxury hotel in Tremezzo. An intimate meal to remember! 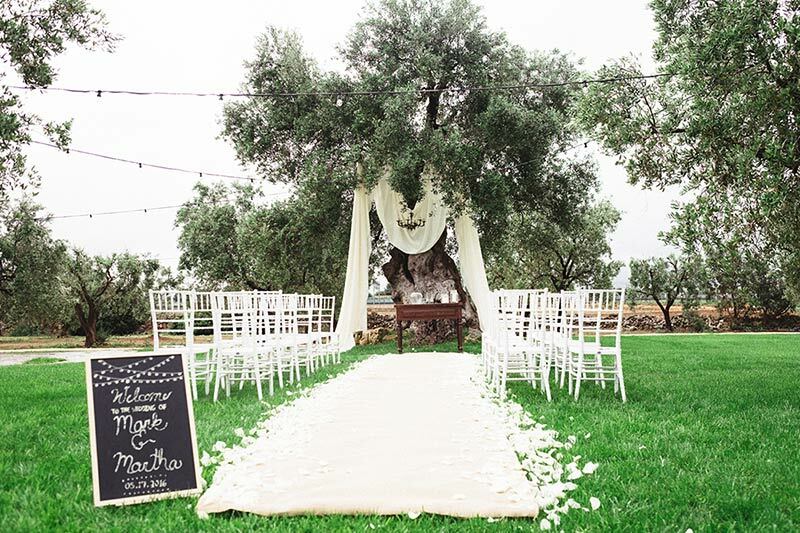 We get back to Apulia for Ivana and Ben’s wedding on 28th May. 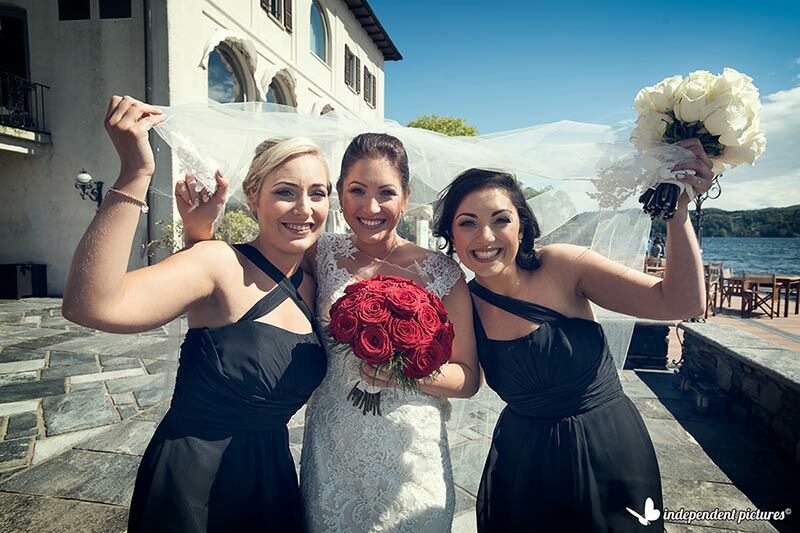 Michela and Michela of our team followed the event planning the blessing ceremony for them. Wedding ceremony was held at amazing Castello Monaci such an historical venue for a beautiful wedding where you can plan not only symbolic blessing but even legal civil ceremonies inside! Michela is one of our planners but she is also a professional celebrant that can tailor and create a perfect blessing ceremony for your wedding in Apulia. 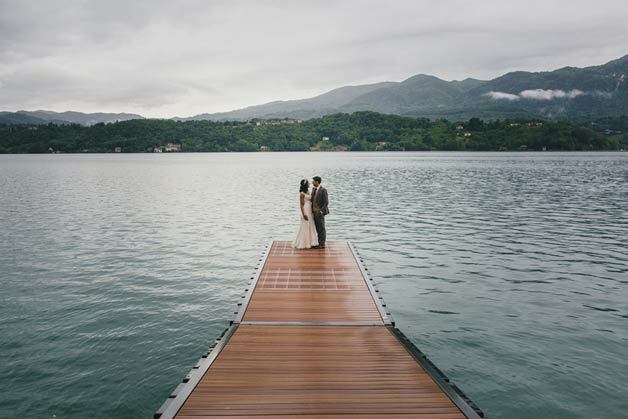 On May 30th Cath and Ben tied the knot on Lake Orta. Valentina followed the event for us. Despite of some rain the party was a blast! Cath and Ben just didn’t care they had a wonderful and very moving ceremony at Villa Bossi, a fun aperitif on St. Julius Island and a great dinner and amazing dancing party at Ustaria Ca dal Rat. 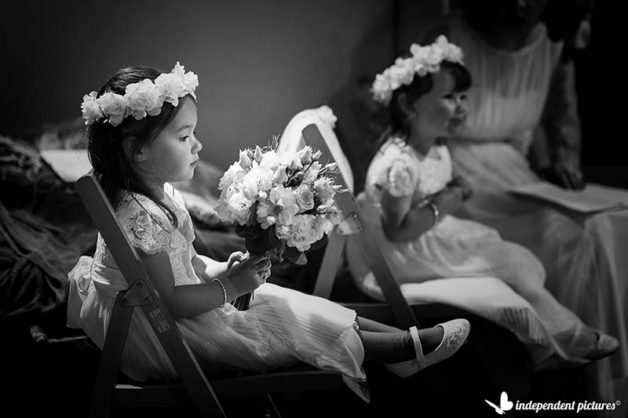 Cath was simply wonderful in her laces dress, pretty and joyful. Colours she wanted were peach and burgundy… amazing burgundy peonies by La Piccola Selva Floral Designer. The day after our team followed three weddings. 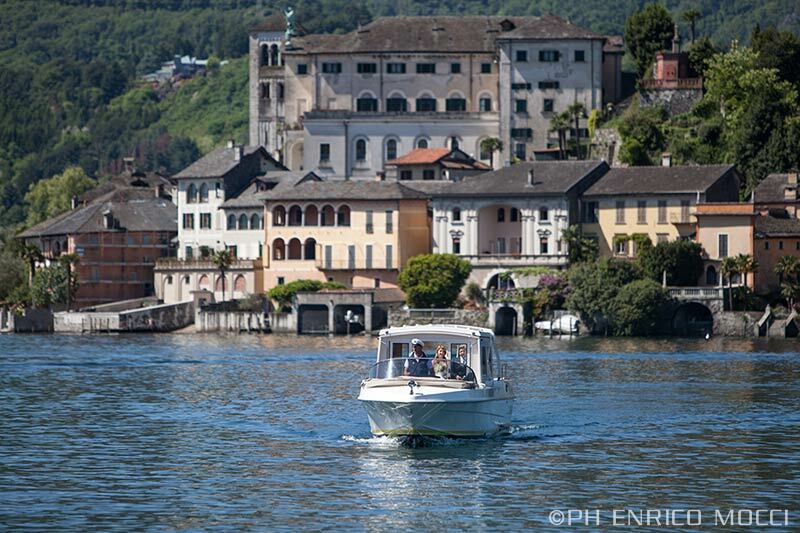 31st of May our full team working on Lake Como followed Carla and Gary blessing in Varenna. 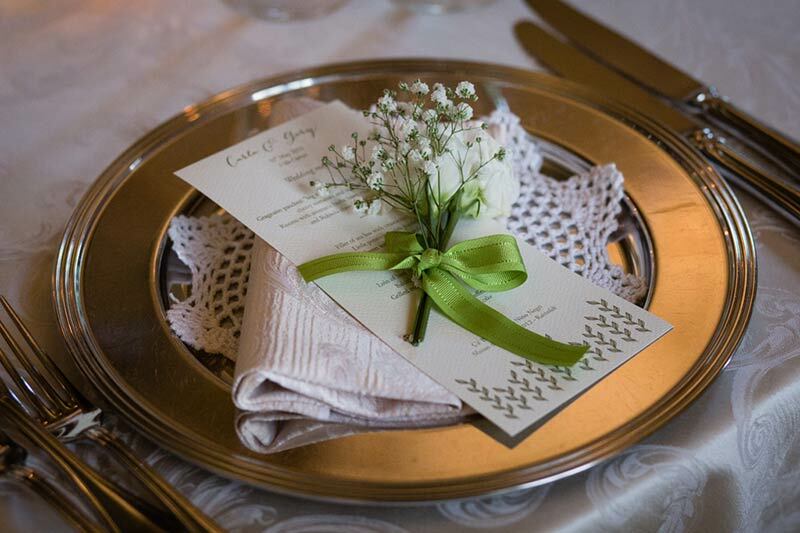 A small group of 30 guests for a very detailed and chic wedding in the shades of green and white. 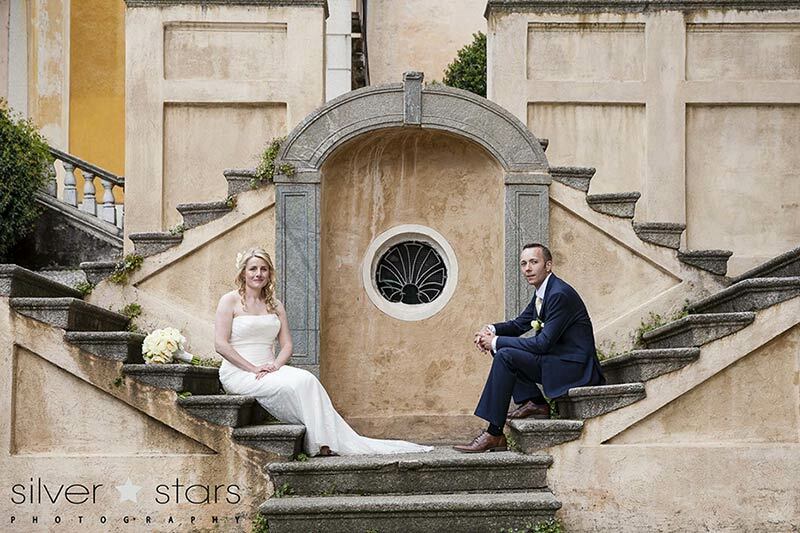 They also followed Philippa and Liam’s wedding at Villa del Balbianello. 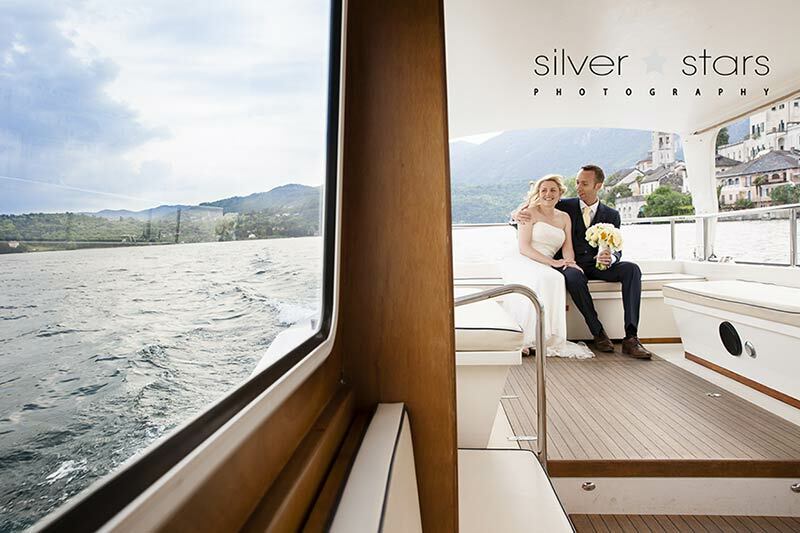 Amazing shots at the enchanting villa and a wonderful boat tour to follow with toast on board. 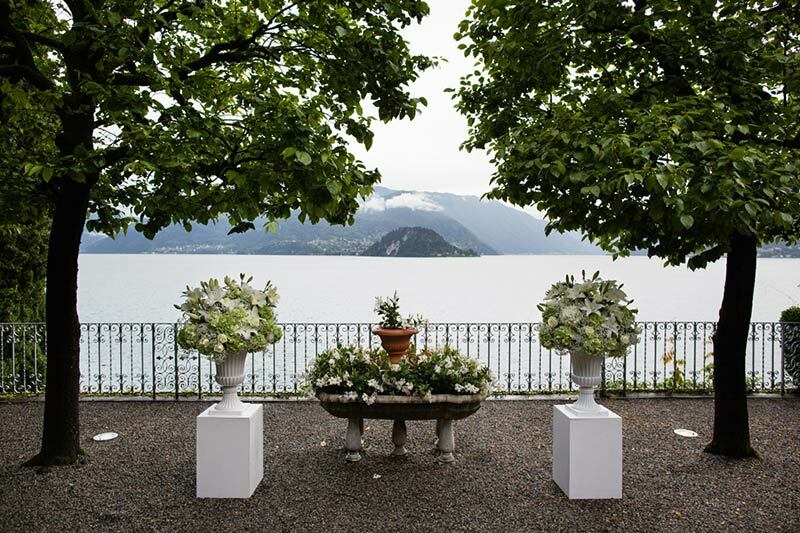 They opted for a beach reception in a beach club on Lake Como shores in the shades of pale pink, white and grey. One of their friend played with a guitar the song for their first dance, isn’t it sweet? 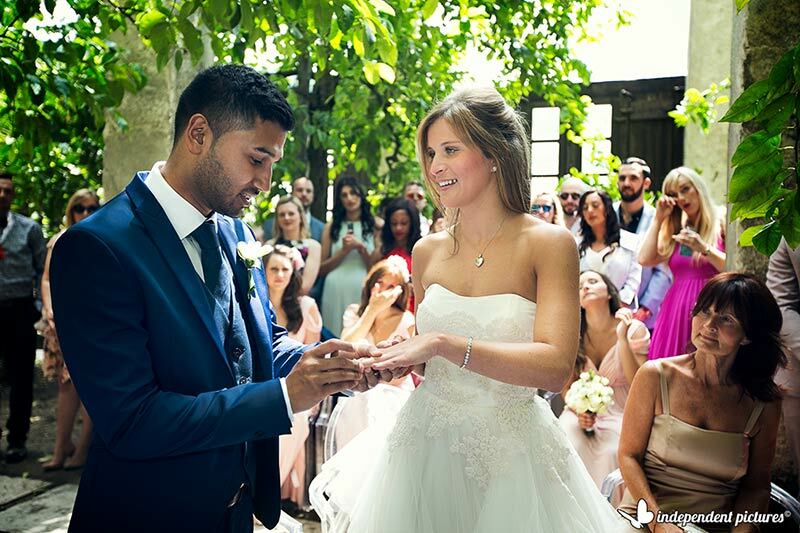 On the same day Katiuscia followed Abul and Roseana’s wedding, a lovely couple coming from Uk who chose Lake Garda for their special day. 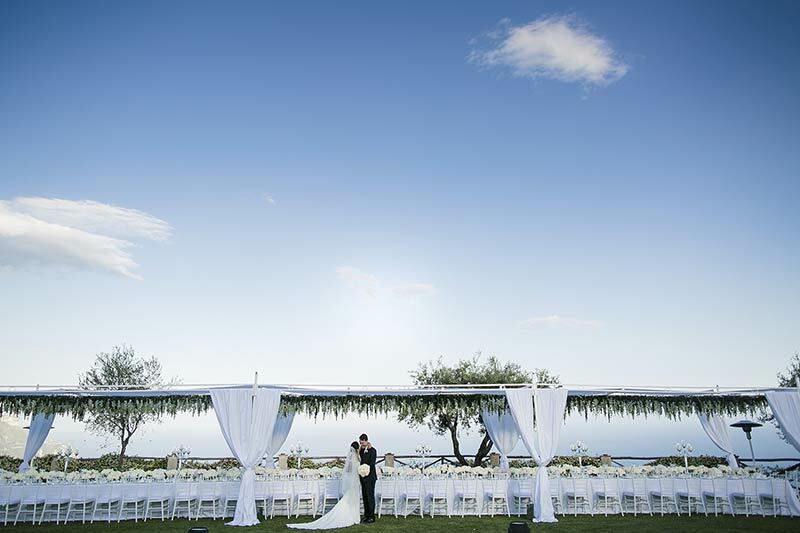 They opted for a civil ceremony at Torri del Benaco with a special reception to follow in a pretty restaurant over the hills with a stunning view over the Lake. Just amazing! Well what can we say? We are back and we are very excited about 2016 season. Stay tuned for a fantastic summer season we are looking forward to tell you more about all our projects! One Response to Wedding Season is really started now! 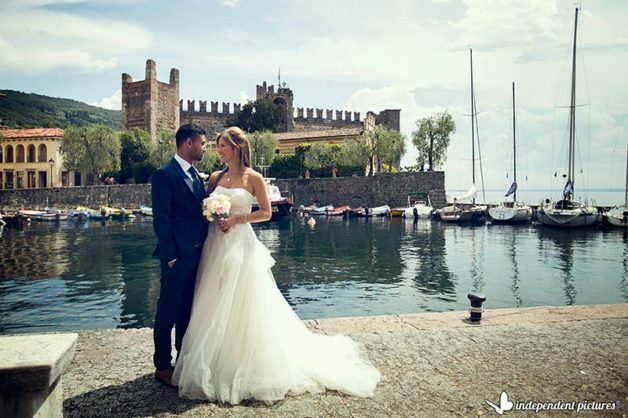 Wow its amazing to just see the pics and I can only just imagine the sheer ecstasy of the bride who is getting married in such wonderful settings…it’s really a culmination of dreams and nothing can beat the sheet beauty of the lakeside weddings and in a dream destination like Italy…waiting for more updates from you!